I had a pack of bread lying in my refrigerator, so wanted to use it up and tried this yummy tasting sweet bread with honey. It turned out super tasty and also quite addictive that I bet you can’t stop munching when you start them. It is one of the easy snack recipe that can be made in last minute for packing kids snack box. 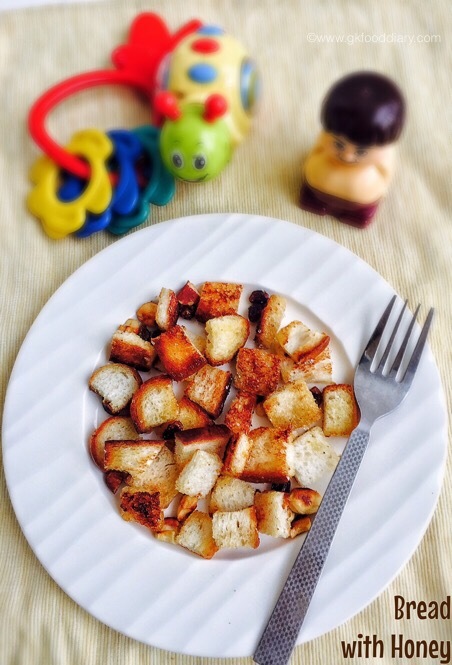 If you don’t have a sweet tooth, try this savory version of bread upma. 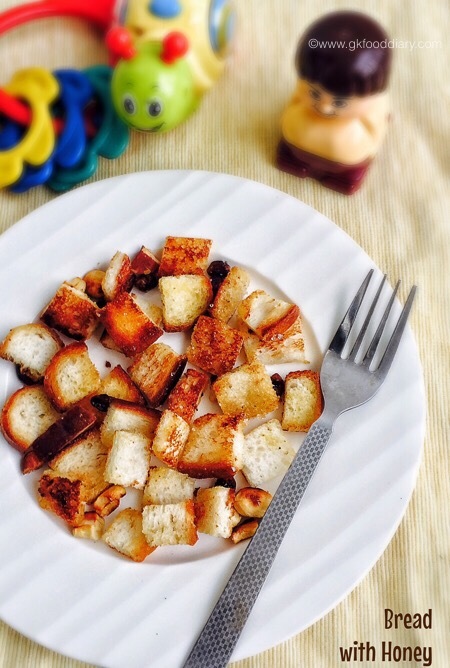 Here is how to make easy sweet bread with honey for kids & toddlers. 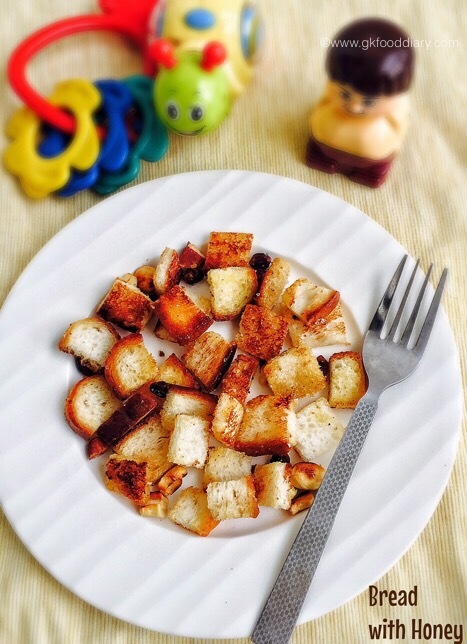 Bread with honey - Bread tossed with honey , raisins & mixed nuts. 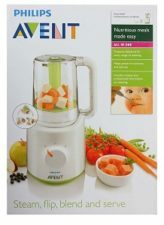 It can be served as a snack for kids. Chop the bread slices into bite sized cubes. Set aside. Heat 1 tbsp spoon of butter or ghee in a pan and melt it. Then add raisins along with nuts. Fry for a minute. Then add the cubed bread pieces. 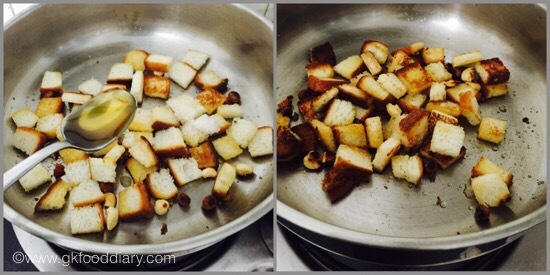 Toast the bread pieces slowly until golden. Then add honey and toss it well. Switch off the flame once done. 1. 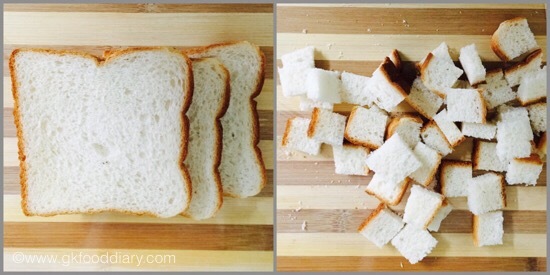 Chop the bread slices into bite sized cubes. Set aside. 2. Heat 1 tbsp spoon of butter or ghee in a pan and melt it. Then add raisins along with nuts. Fry for a minute. Then add the cubed bread pieces. 3. 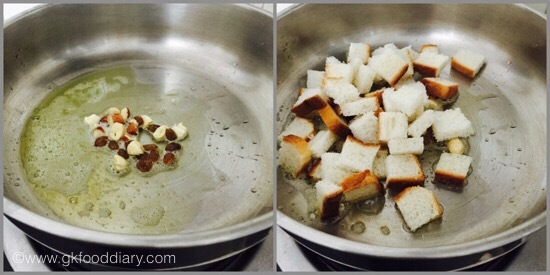 Toast the bread pieces slowly until golden. Then add honey and toss it well. Switch off the flame once done. 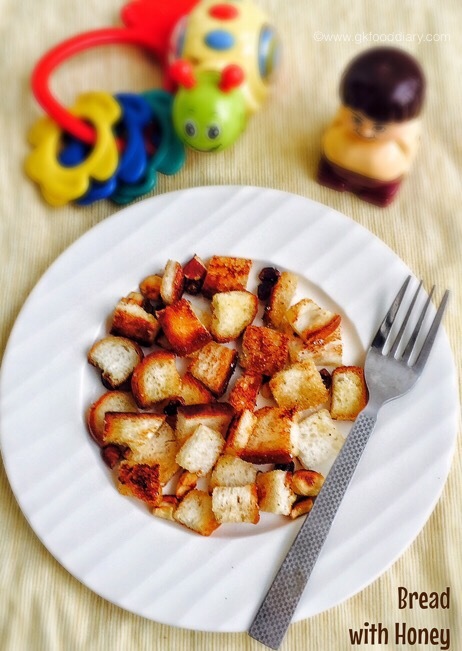 Serve the honey toasted bread as a snack! Always choose whole wheat bread to make this recipe healthy. Instead of honey , you can opt for jaggery or sugar too. For variation, try this recipe with leftover Chapati.